Geoparks contain precious heritage of the earth, and like UNESCO World Heritage work to preserve, protect, and raise the value of this heritage. However, the purpose of the geopark is not just to protect the heritage of whole geopark area, but to utilize this heritage for the benefit of the community in many ways. The use of this heritage more specifically entails the stimulation of the tourism industry through environmentally sustainable ‘geotourism’, and enabling the local people harness their regional resources, with the goal of revitalizing the region. In pursuit of this, the geopark works to connect the geopark to the people, raise awareness about the geopark and foster pride in the region. 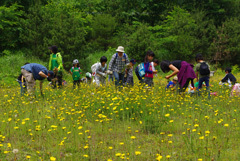 The local people participate actively in the geopark initiative, in particular holding geopark events and conducting education activities for schools and local organizations. 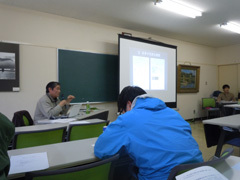 The geopark is training guides who can convey the value and appeal of the Oki Islands UNESCO Global Geopark. We are passing on the heritage of the geopark to the next generation by harnessing the power of the local people. 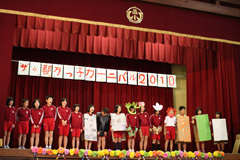 The geopark actively conducts educational activity in cooperation with the educational facilities on the islands. 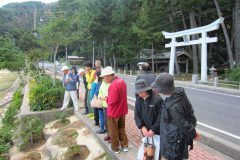 By deepening people’s understanding about the earth and the life that lives on it, the geopark aims to foster love and pride of Oki in both young and old. There are many extraordinary places that seem commonplace for locals, but are fascinating to non-locals. The geopark conducts educational activities that enable the local people to rediscover the value of their homes. One of the pillars of the geopark philosophy is the sustainable social and economic development of the region. 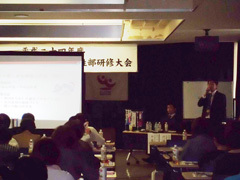 In order to include businesses and organizations in the geopark initiative, the geopark conducts seminars and invites experts to teach the locals. The geopark is constructing various facilities, such as Geopark Information Boards, to enhance the experience of visitors to the geopark. But in the end, it is people who are best able to share knowledge and connect with people, so the geopark has created groups dedicated to guide training and development, and is encouraging new people to become guides of the geopark. The geopark is not just about geology, but also the life that exists upon it. In order that the next generation can experience the same diverse ecosystem, the geopark formulates regulations for environmental protection and conducts activities such as the removal of invasive species.